A classic from America's most popular family counselor on tough love for marriage and the family. Dr. James Dobson, America's Family Counselor and the author of numerous best-selling books, now turns his attention to the most serious and destructive causes of conflict within marriages and families. Love Must Be Tough examines the most devastating crisis occurring between husbands and wives -- infidelity, alcoholism, spousal abuse, emotional indifference, etc. -- and offers practical advice for the partner who wants desperately to hold the marriage together. What emerges is a principle of loving toughness that is applicable not only to families in crisis but to healthy marriages as well. 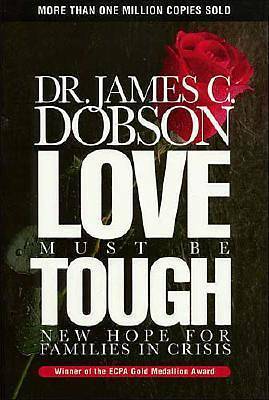 Dr. Dobson's thoughtful observations and practical strategies are distilled from a lifetime of counseling men and women. Love Must Be Tough is a valuable resource for anyone who wants to build a relationship based on mutual respect and mature love.